Noosa longest running bike shop, with over 40 years selling, servicing, repairing bikes. Hooked-On is the family bike specialist, carrying a range of Mountain Bikes, Hybrids, Electric bikes, BMX and kids bikes. Our workshop that can do everything from a full rebuild, general service to premium services, minor adjustments and tune-ups. Tyre fitting and wheel trueing. 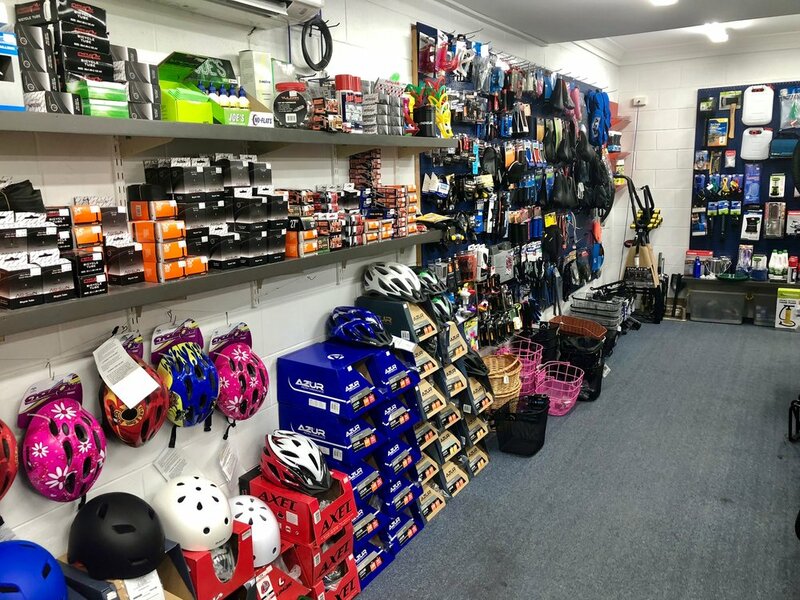 All the parts and accessories you need, helmets, baskets, lights, locks, carriers, child seats, tools, tyres and tubes. Just some of the range we have in store…. Cheetah Amalfi - S 15"
We can help, pop in for some advise and take adavantage of Hooked On’s bike service workshop.